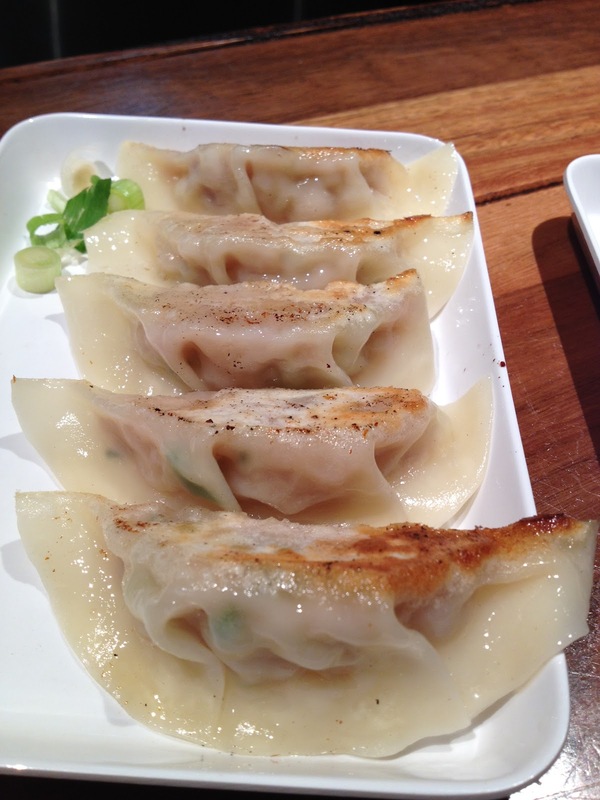 I had heard a lot about this new Gyoza and Alcohol concept @ Harajuku Gyoza. However, being a non-drinker, I put-off visiting this place simply because I wasn’t sure if I would enjoy the experience. 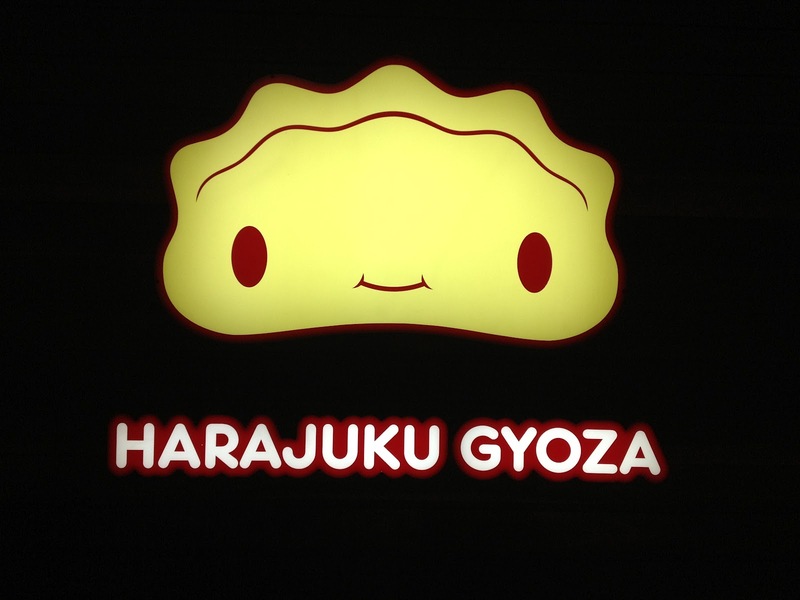 While looking for a place to munch before our class, my cake buddy & I decided to check out Harajuku Gyoza. We headed to HG straight after work at 5.30 and found it to be rather empty. 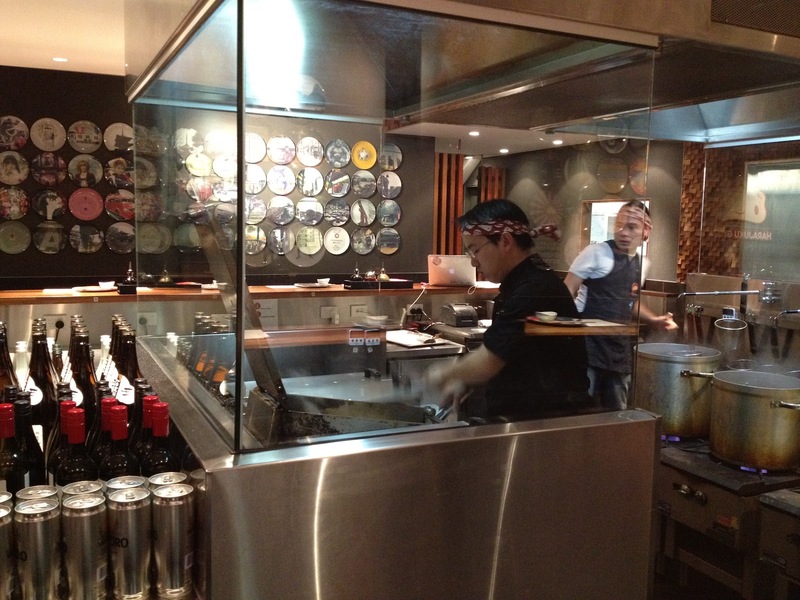 We chose to be seated at the bar so we could watch them cook our Gyoza. 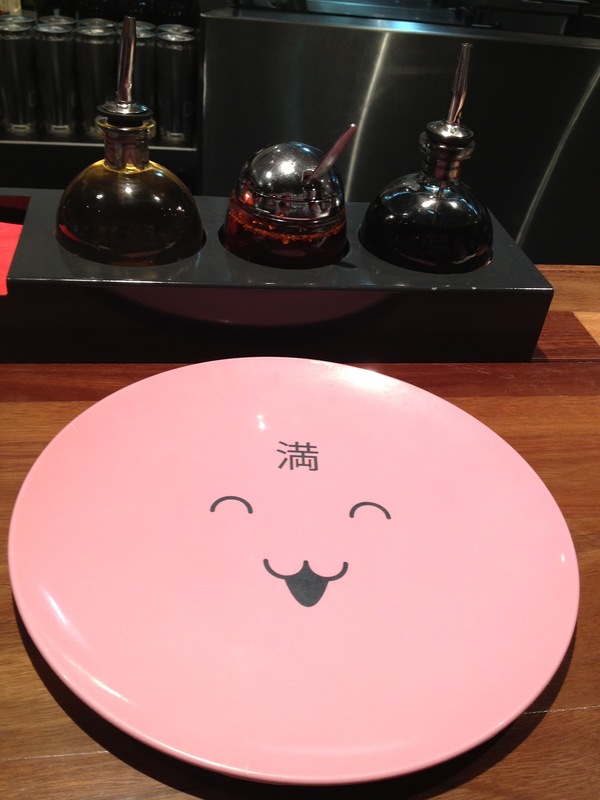 I also found the place to be overloaded with cuteness. 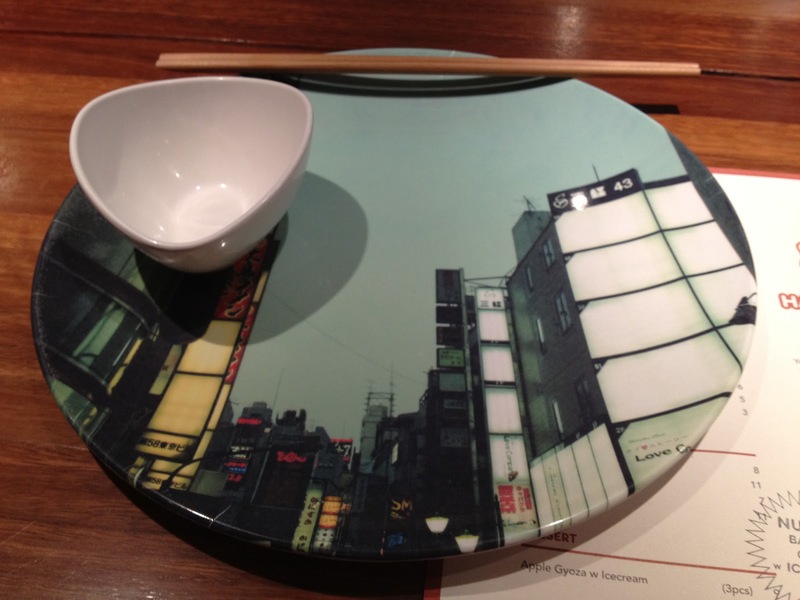 Love this pink plate! 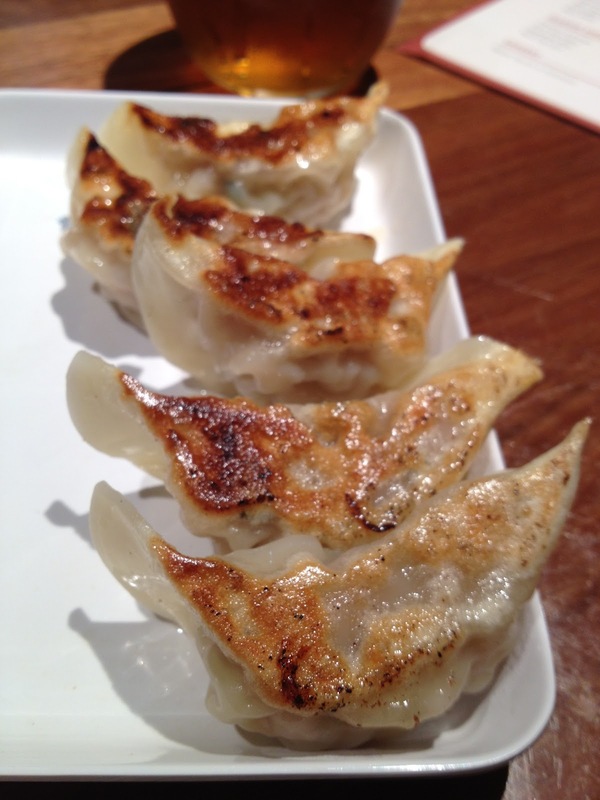 We ordered a range of Gyoza from the menu. My favourite was the Lemongrass Chicken as it tasted fresh and flavoursome. 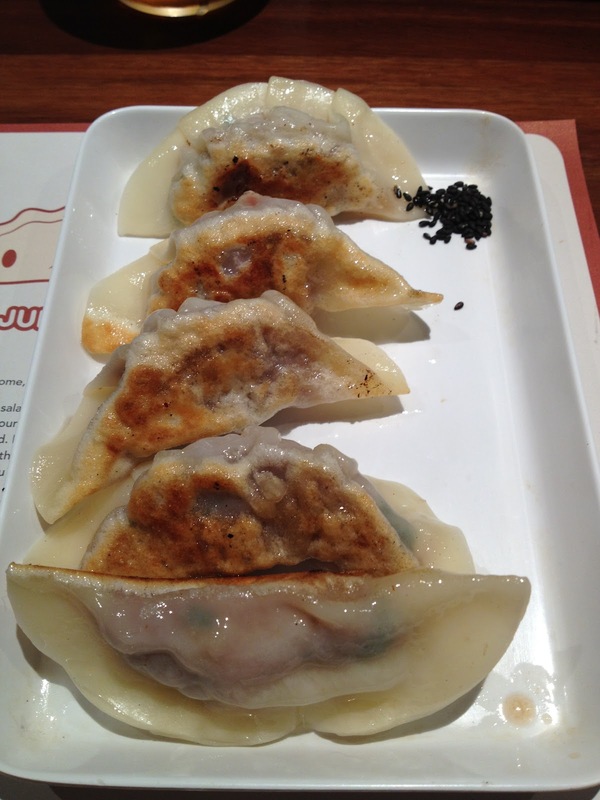 Duck was my least favourite as I was not convinced the flavour worked well in the gyoza. 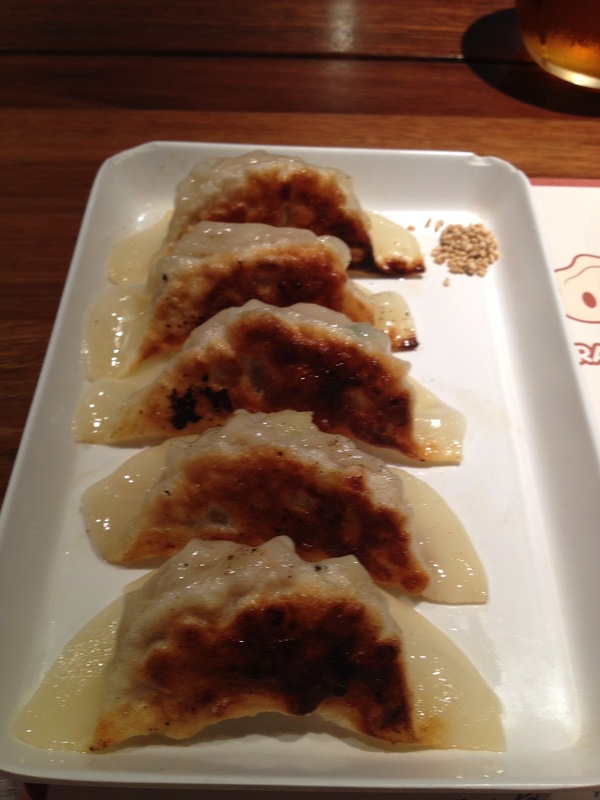 We even decided to check out their dessert Gyoza. 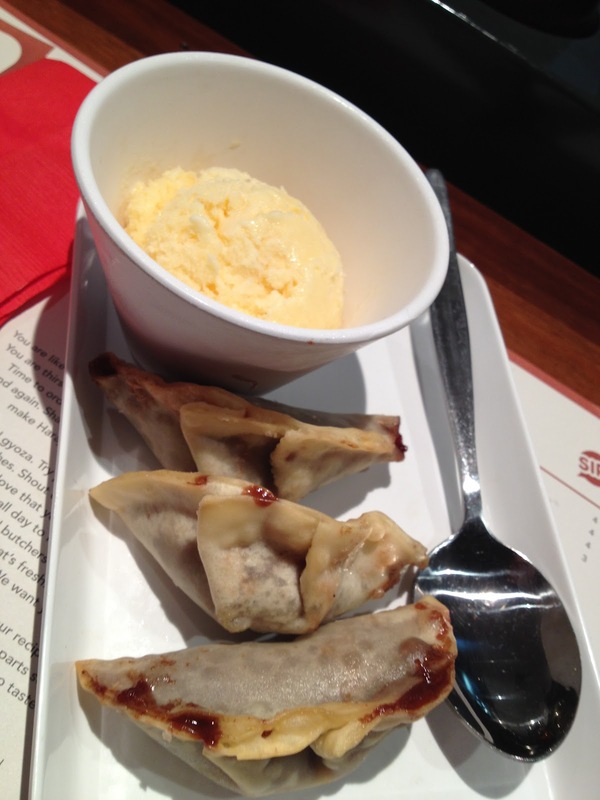 The Nutella Banana Gyoza with IceCream ($9) tasted just like chocolate & banana pancakes, except it is wrapped inside a dumpling! 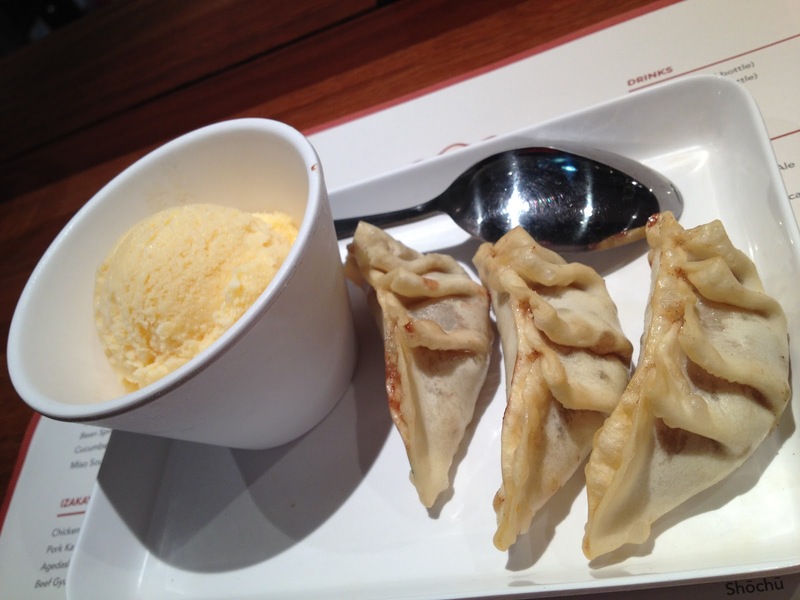 As for the Apple Gyoza with IceCream ($9), it tasted just like an apple pie. However, I found it to be a tad too sweet to my liking. As we were leaving, we noticed a queue building up at the door. *Phew* I was glad we went early and missed the line. 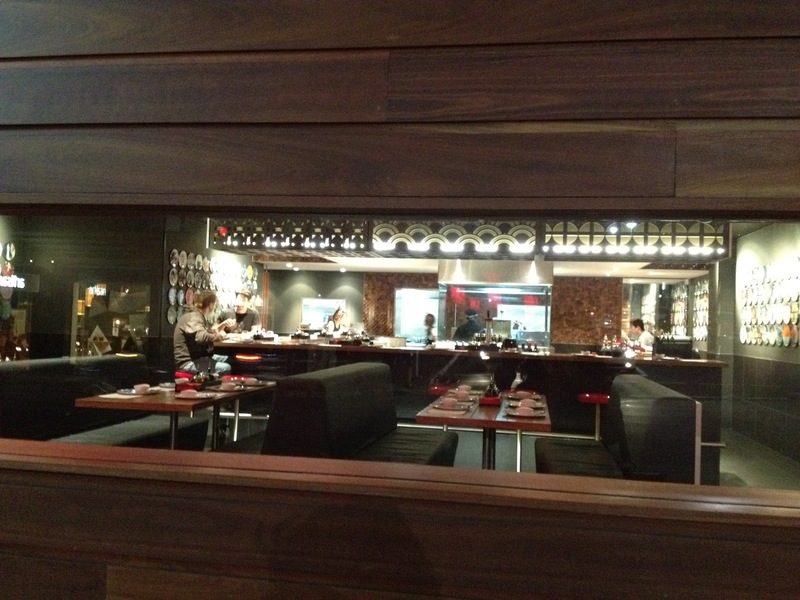 To be honest, I enjoyed the experience and wouldn’t mind going back for an early dinner if we can avoid the queue.